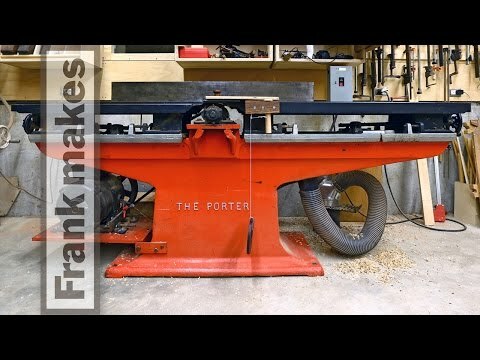 This is a description of my Porter Heavy Pattern Jointer. It was made around 1910. It weighs 1550 lbs. I had to replace the cutter head, I got a Byrd tool Shelix cutter head for it. 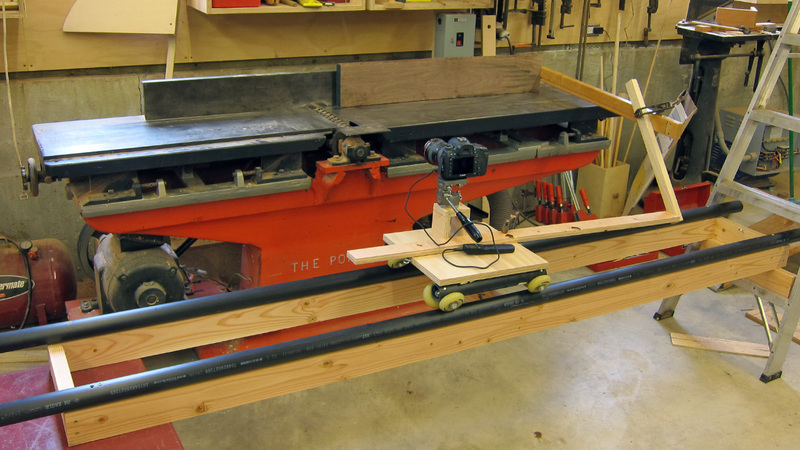 And I finally make a guard for the jointer, in the second half of the video. After three different designs, I have a guard for the jointer. 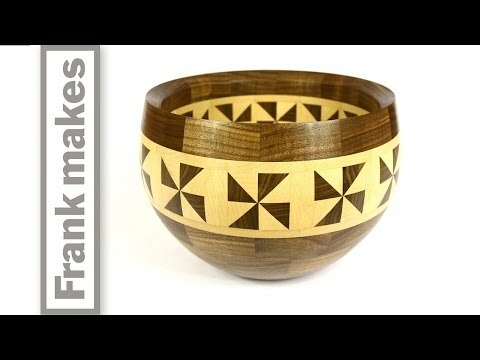 This video is of a wood turned segmented walnut and maple bowl inspired by traditional tapa cloth patterning. I did this video all with a stop motion technique trying to remove myself from the story in order to make the materials, process, and product the stars of the show. the new bowl and movie are coming along. it has been slow as i am doing the movie all in stop motion. i’m working on another movie about making a segmented bowl. 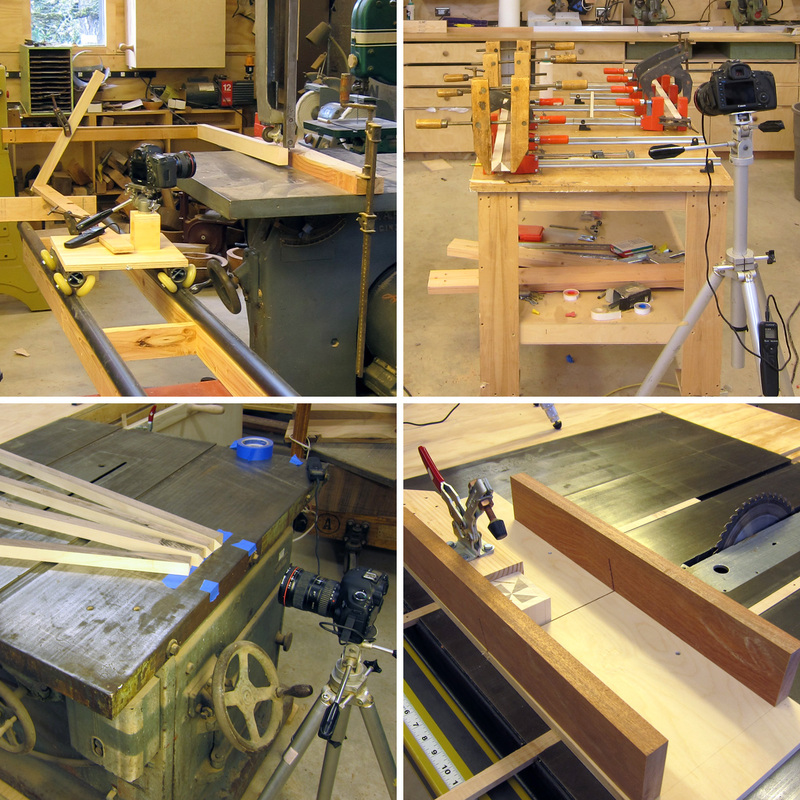 for one scene i made a stop motion jig for the jointer. as i move the stock through the jointer the camera follows the front edge of the stock. I have been working on a door. I needed to square up the ends of the door. 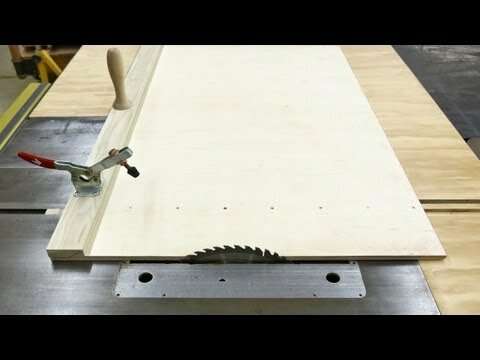 I made a big table saw sled for my Powermatic 72 to perform this function. I started with a sheet of half inch birch plywood. I cut this to 30 by 48 inches. Then I made a rail from hard maple that fit in one of the slots on the table saw top. I planed it down to where it just fit in the slot with out wiggling but still could slide easily back and forth. I attached the rail parallel to the shorter side of the plywood. Then I trimmed off the shorter side closest to the blade to make that edge of the plywood perfectly parallel to the slot in the table saw. Next I attached a stop to the back of the plywood piece with one screw. I made this stop as perpendicular to the table saw blade as I could. 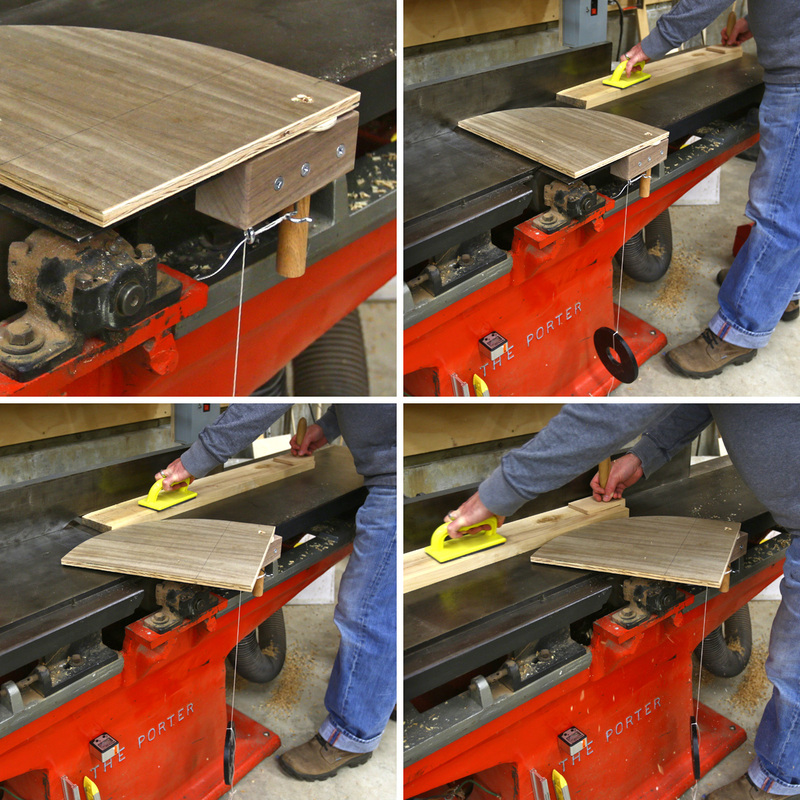 Then I cut a test piece of plywood with the sled. With this cut I could test how square the sled was. I adjusted the stop and got it spot on. Finally, I turned a handle on the lathe for the sled. This made it easer to push. 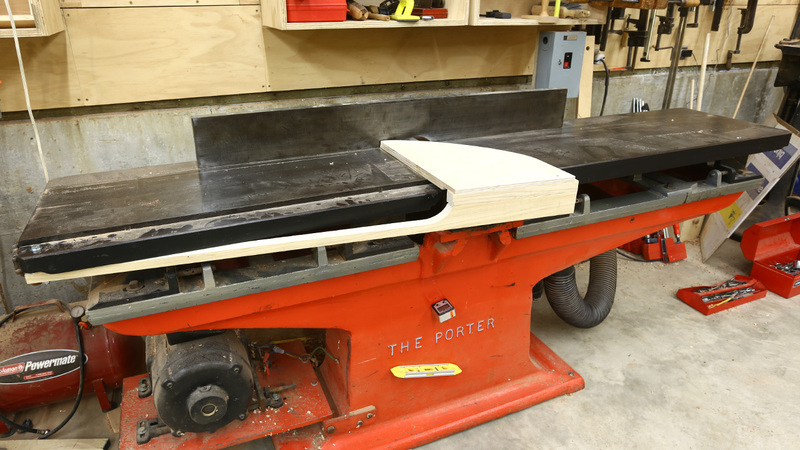 i have mocked up a jointer guard. it does not work very well. i think i will try a design that fastens the guard to the in feed table.